If we haven’t connected on Facebook yet, you may be wondering what I’ve been up to. I’m clearly alive and kicking, but I’ve been doing more than just breathing and waiting to find out if GLENN IS FREAKIN’ BREATHING, TOO!!! The latest installment of the FREE FALLING series, “Delivered: Angel & Kai” is done and in the process of being edited as we speak! This will be another AMBW romance featuring Angel, the cousin of the previous heroine, and Kai, a colleague of the previous hero. I’ve set a firm release date of January 18th, 2016 and I’m sooooooooooooo EXCITED! Cover/Trailer reveal coming soon! And lastly… *drum roll, please* I’ve started doing a little writing/self-publishing/marketing consultant work on the side. I’m no expert, but I’ve learned (and I’m still learning) a lot since publishing, and I love being able to help others attain their writing goals, too! To inquire, just email me at: raven.stpierre@gmail.com, using the subject header: Consultation Inquiry. That’s pretty much what I have going on! I hope you’ve ALL been doing well and as always, feel free to comment below or friend me on Facebook! I love keeping in touch with you guys! ❤ November 24th, 2015: Chapters 1&2 of Delivered are being released to newsletter subscribers. At a time when I was at my lowest, and cared far less about myself than anyone else possibly could. But I can’t tell him everything and I have a feeling he’s doing the same behind that semi-truck’s wheel. Who is this big, strong guy taking me away, and could I ever fathom a world in which he’s with me? 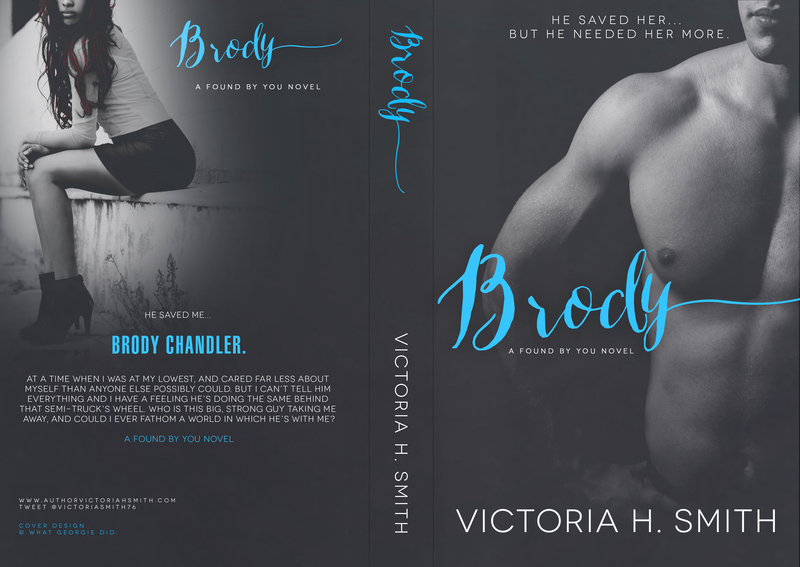 New Release, “Matt & Brooklyn”, Now Available! Hey! So, I already shared the first two chapters of “Matt & Brooklyn” with my newsletter subscribers, but I wanted to share a sneak peek here as well; something different. Just a reminder: “Matt & Brooklyn” will be released August 6th! Follow me on Amazon to be notified via email when it goes live! “Brook… what the hell are you so afraid of? It’s always some crap about messing up our friendship, but there’s more to it than that,” I accused, daring her to be straight with me for once. My question shocked her into silence and I took advantage of those precious seconds before she spoke again. “Speak for yourself,” she cut in hastily. “I don’t want more. I don’t want anything other than what we have now,” she lied. Even if she couldn’t say it, I saw it all over her—when I showed up at her graduation ceremony, when she first arrived here, when she almost kissed me last night, even now. No matter what she said, she wanted me, wanted us, just as badly as I did. The power this woman had to infuriate me was unreal. I stared at her as she basically scowled at me. She rested her hands on her hips to drive home the fact that she’d already made this decision… for the both of us. However, unlike usual, I wasn’t in the mood to let her call the shots, which I typically allowed so she didn’t have to venture outside of her comfort zone. I tiptoed around her feelings and demands long enough, though. I don’t know what happened… honest to God I don’t. One minute I was standing there, listening to Brook getting ready to make yet another declaration and then the next, I had the taste of her lip gloss on my tongue. I breathed her in deep, hearing the air rush into my lungs as one hand gripped the back of her hair. The other clutched her waist. I couldn’t pinpoint the moment I leaned in and chose to own her, but I had. I pulled her body closer to mine until the deep intakes of breath she inhaled made her breasts press into my chest. She parted her lips and surrendered to me more willingly than I ever imagined she was capable of. A woman like her didn’t give in to anything or anyone easily, yet her body seemed to be following my lead. With every tug I gave, she let me bring her closer, and with one wordless commanded I now had possession of her tongue. I’d never seen her like this—defenseless. She had to know she could trust me, though; had to know I wouldn’t make her regret admitting what she felt. I’d spent our entire friendship proving that. A soft moan filled her throat, vibrating through her chest and mine. She tasted so good, so sweet. The feel of her full lips against mine, between mine, against my tongue, had me gripping her tighter. When her hands came to rest at either side of my face, the kiss slowed and deepened. Her touch was restrained at first, but then her fingertips wandered toward my hairline, and eventually, she got up the nerve to fill her hands with it, my hair, pulling just a little. The tension that’d been pinned up inside her, the anger, the frustration, seemed to melt away. She relaxed against me and in that moment, I realized this could’ve gone very differently. Brook could’ve easily snatched away when I initiated the kiss, but she hadn’t. Instead, she was mirroring the same emotion, the same intensity that I was. “We can’t do this, Matt. We have to stop,” she said in a breathless whisper, but then contradicted herself the very next second when warm moisture from her mouth coated my bottom lip. She slowly pulled it between her own, sucking and tugging at the flesh, sending every drop of blood in my body rushing in one direction—south, making me want more from her, much more; I wanted everything.